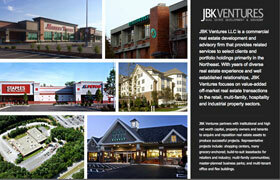 Jonathan B. Kay, founder of JBK Ventures, is a Boston-based commercial real estate developer. His former company, Kay Construction, was one of ActiveCanvas’s early website customers. Kay’s current market conditions require personal interaction with potential business partners. A simple landing page highlighting some of their landmark development properties accomplishes this one-on-one interaction with clients and prospects.